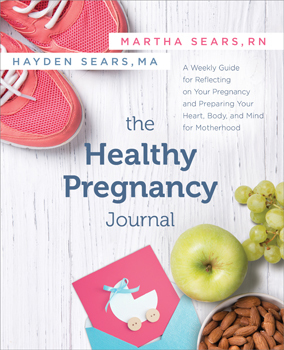 Written by Martha Sears and her daughter Hayden Sears, The Healthy Pregnancy Journal provides mothers with a safe space to reflect on their own physical and emotional well-being. Entries include spaces for bump pictures and tracking the baby's development, along with fun journaling prompts about everything from food cravings and dreams to fears and feelings of loss. Features helpful guidance on all aspects of pregnancy: nutrition, exercise, birthing techniques, breastfeeding, self-care, and more.